I feel like we have fallen off the toilet paper rolls craft wagon. 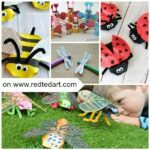 I love crafting with toilet paper rolls so much (or loo rolls as we call them here in the uk), because they are free and versatile and great fun! 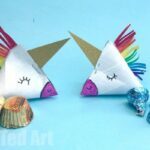 (Do check out our TP Roll Crafts Hangout and round up, linking to 20 ideas!). So, it is about time we got Loo Roll Crafty again!!! 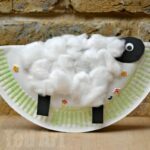 If you are looking for activities for children this Spring, then hopefully these loo roll sheep will fit the bill. 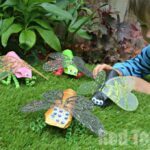 They inexpensive to make, tactile and fun. And my youngest loves playing with them! I mainly made these with Pip Squeak (3yrs) whilst Red Ted (5yrs) was at school. He wanted to have one, but not to make one. Mmmh. 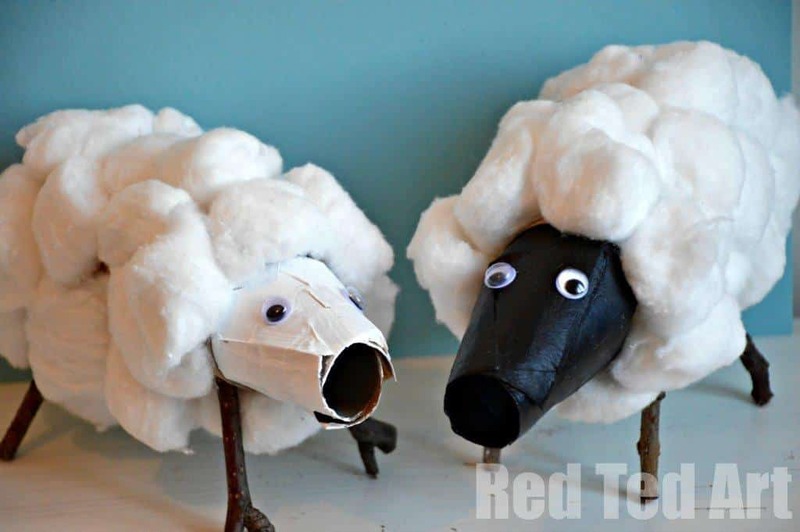 Ok.
Materials: per sheep: two loo rolls or one kitchen towel roll, a little paint, sticks, masking tape (NOT ordinary tape, as you can paint or glue on it very well) or glue and of course cotton wool and googly eyes! Don’t you just LOVE the *bling*! 1) THE HEAD: Shape and Paint: First we started by shaping the sheep’s face – we use the same technique as per our Loo Roll Dog or Bird Marionettes (take a peak at the posts for “images). 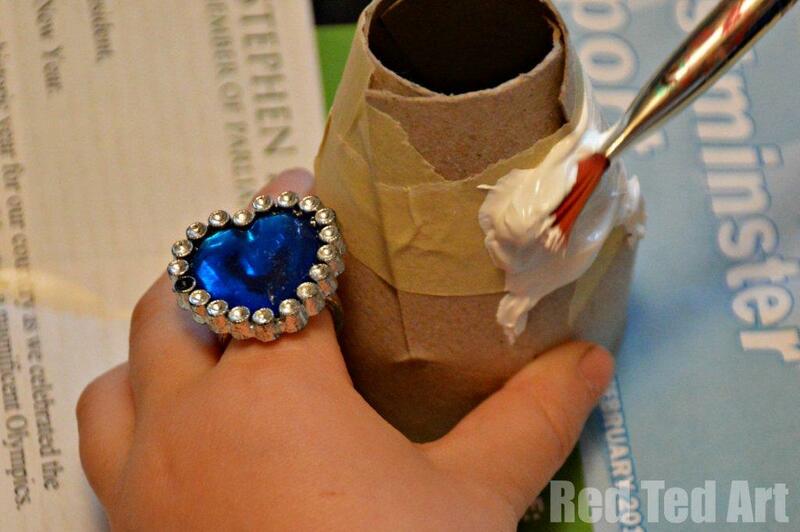 Take one of your toilet paper rolls, cut four slits and squeeze them together. Then glue or tape in place. The white sheep was taped, the black sheep glued. We then painted them white or black. Once dried, cute very short slits into the other end, alternating with the slits made for the front, squeezed and then inserted them into the second tp roll. 2) THE LEGS: Cut and Stick: Take four small sticks – ours were about adult finger length (is that about 10cm?) and tape them onto the second of your toilet paper rolls with masking tape. 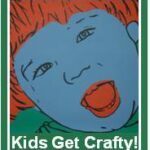 I squirted in some glue for good measure. 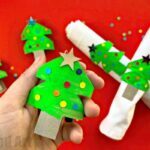 You could of course just “poke” four holes into the cardboard tube and glue the sticks in. It works, but it is much wobbly at first and may be frustrating. 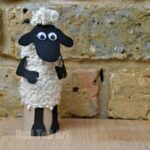 We did both (I was trying out what works best) – the white sheep has holes and glue, the black sheep is taped. I think taped is better! 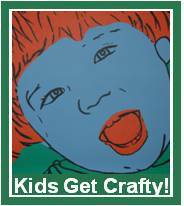 3) THE BODDY: Assemble and Stick: Now comes the fun tactile part – sticking on the cotton wool! 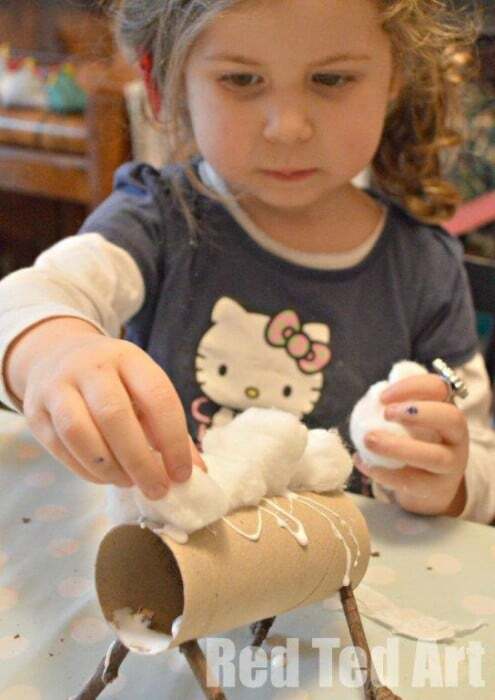 Add lots of glue to your toilet paper roll body and let your child stick away (you can see in the above photo, that this is the sheep we stuck the sticks in place).. once all the cotton wool is on, press firmly down, look for any gaps and let your child fill them. And done! 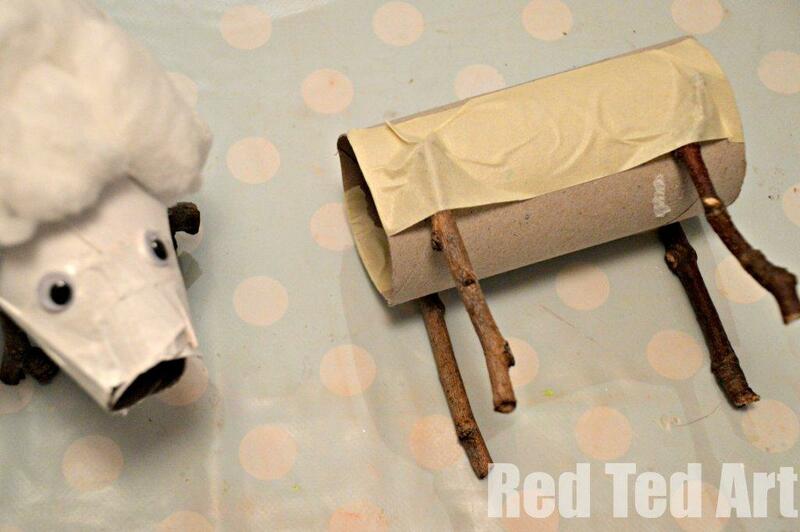 A toilet paper roll sheep! Who would have thought?! 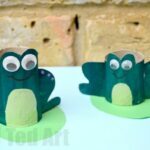 Have you made any Loo Roll crafts recently? Thanks for hosting each week. I love your new header and blog design. Looks great! Thank you for stopping by and joining in! And yes, am v happy with the new look! 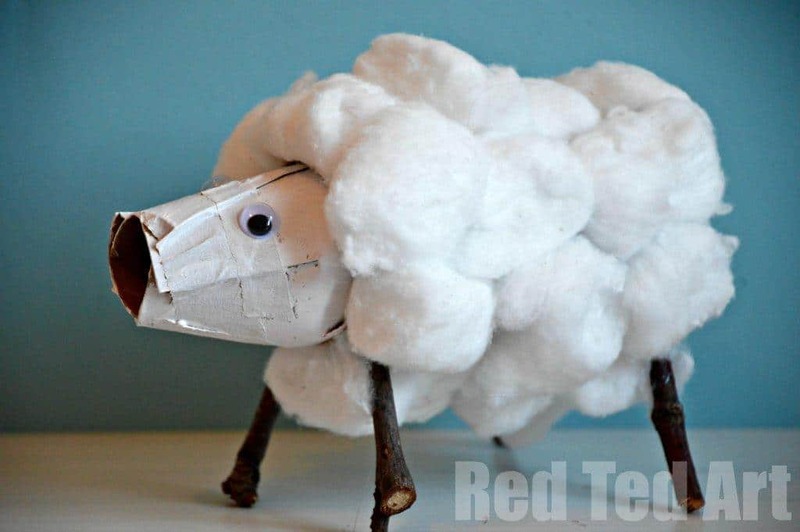 Cotton wool balls were just invented to make lambs with weren’t they?! I’m loving your new look btw, gorgeous! Thanks for hosting this wonderful collection of ideas. Yes! We do too.. loo roll people and creatures all over the house! Glad we are not alone in the loo roll zoo!!! Gorgeous sheep! But I was a little distracted by Pip’s stunning ring bling!